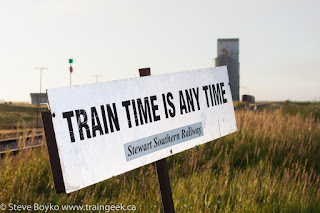 In my last post I had traveled along the Stewart Southern Railway from Regina, SK to just before Stoughton, SK. In this post I'll talk about the oil transloading facility just outside Stoughton. 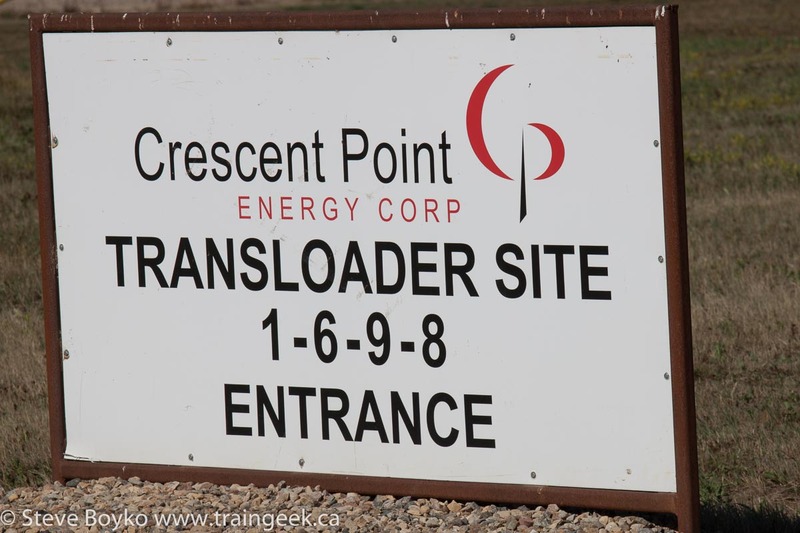 Just northwest of Stoughton is the Crescent Point Energy Corp. transloader site. This is where crude oil from nearby Bakken oil wells is transloaded into the tank cars for shipment. 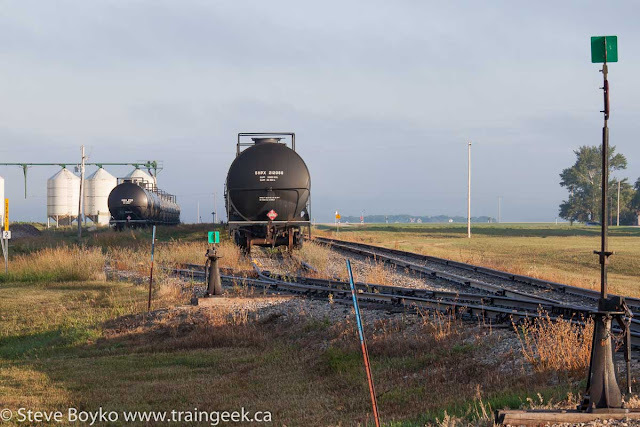 There are two long tracks adjacent to the Stewart Southern main line that can each hold a long string of tank cars. 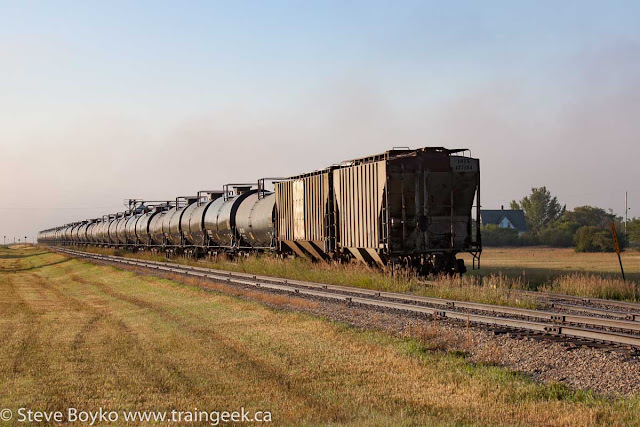 You can see two separate tank car strings plus a 3-unit set of Stewart Southern locomotives. The Stewart Southern has five of these locomotives, three visible in the foreground and two more visible in the background. 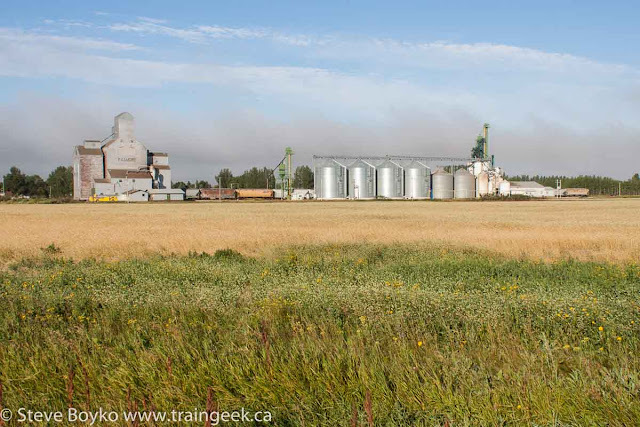 Note the grain elevator in the distance. There was no activity so I carried on to take photos from a vantage point with better light. Here are the two locos at the other end of the facility. A view from the southern end of the facility... this would make a good model train industry, or a Layout Design Element as Tony Koester would say. 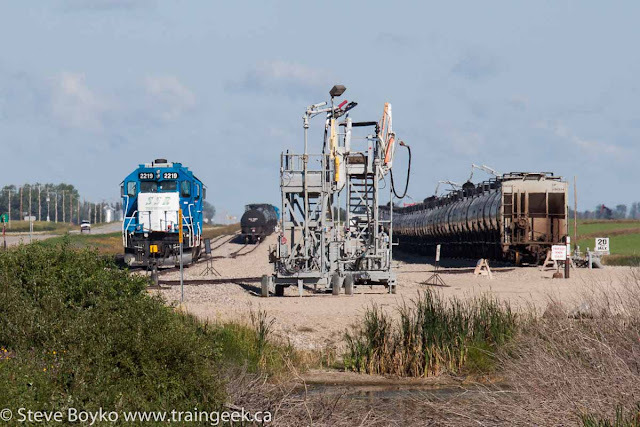 A little closer look, showing a couple of the mobile gantry devices used to transload oil into the tank cars. 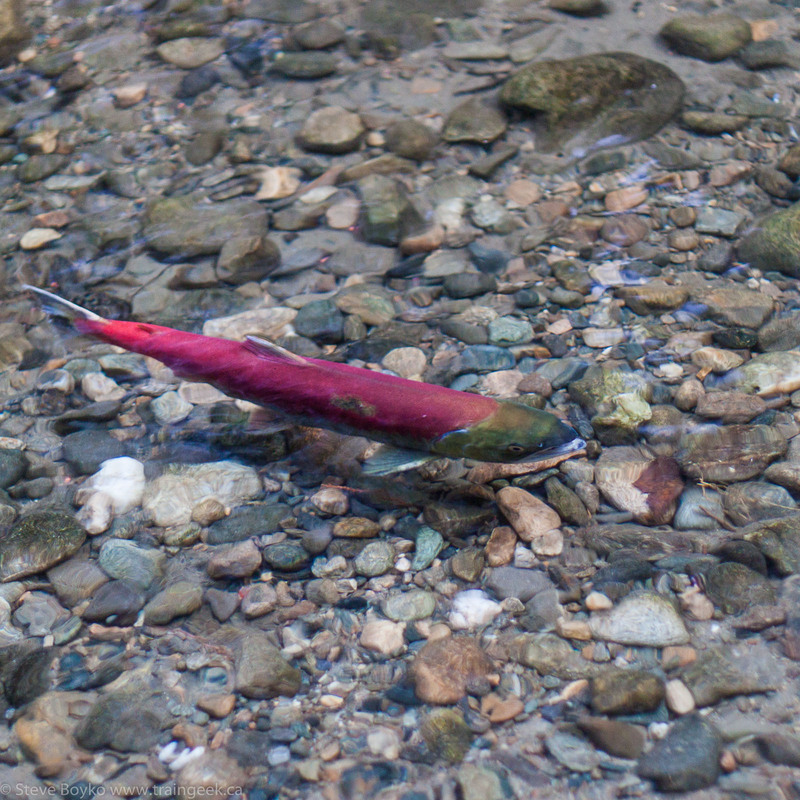 All photos taken from public roads, of course, with a good telephoto lens. I don't know the entire loading process but here's a glimpse. Note the pipeline running the length of the train. It looks like there is a tap at each tank car position where the gantries are positioned to load the tank car. Here's a view of the other side. 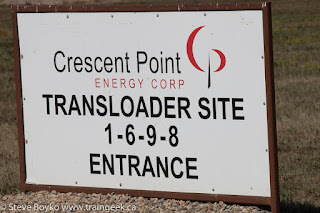 I have no idea how the oil gets to this facility. 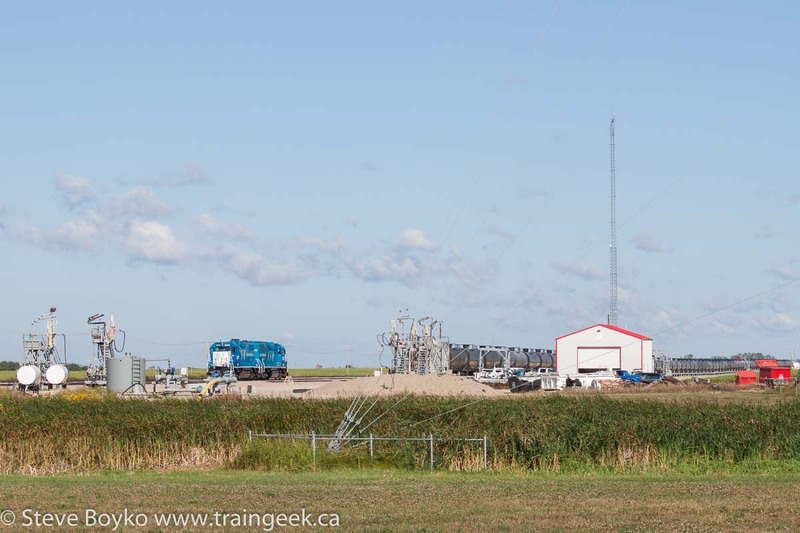 I assume there is some kind of underground pipeline system, as there didn't seem to be a lot of tank storage on site. Before we continue on to Stoughton and its two elevators (and three more Stewart Southern locomotives), I'll leave you with these pumpjacks across the road from the Crescent Point facility. They are all over the place in southeast Saskatchewan. The Stewart Southern believes in lots of signs! The Stewart Southern Railway is one of the many shortline railways in Saskatchewan. I mentioned their start back in 2010. 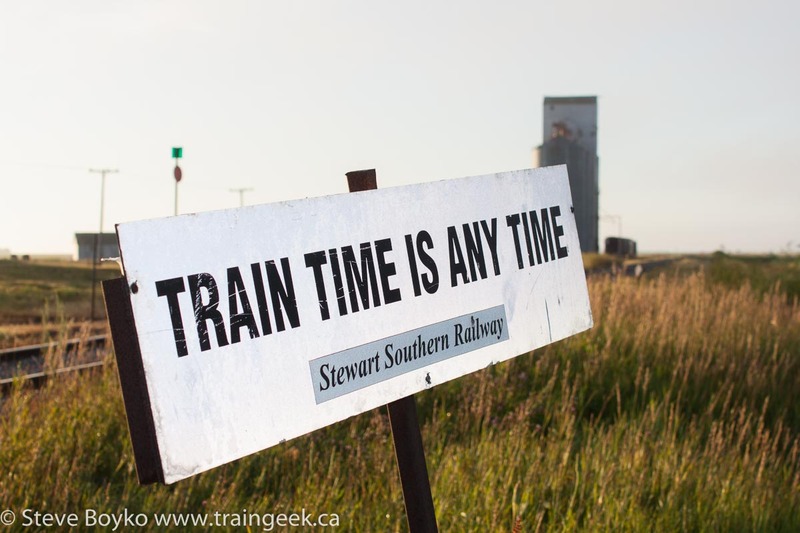 We were in Saskatchewan at the beginning of August to visit family and friends and I negotiated some time to see the Stewart Southern. 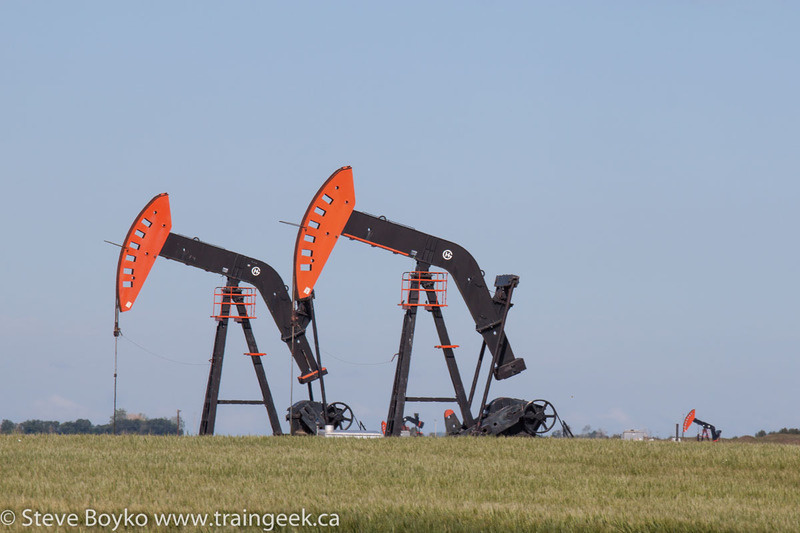 I went out early on August 2 to head down Highway 33 toward Stoughton. 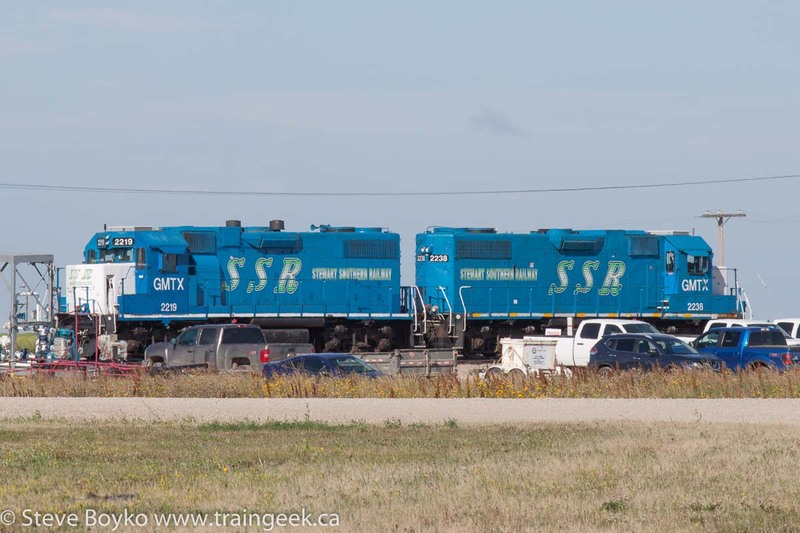 The Stewart Southern acquired a portion of the CP Tyvan subdivision, at one time the longest stretch of straight track in the world. They interchange with CP in Regina and their track basically parallels highway 33 all the way to Stoughton. It was a beautiful morning... at least at the start. My first stop was in Richardson at 7 AM to see the Legumex Walker facility there. There were no cars there but the May 2015 Street View shows grain cars, so I have to assume it is still a rail customer. 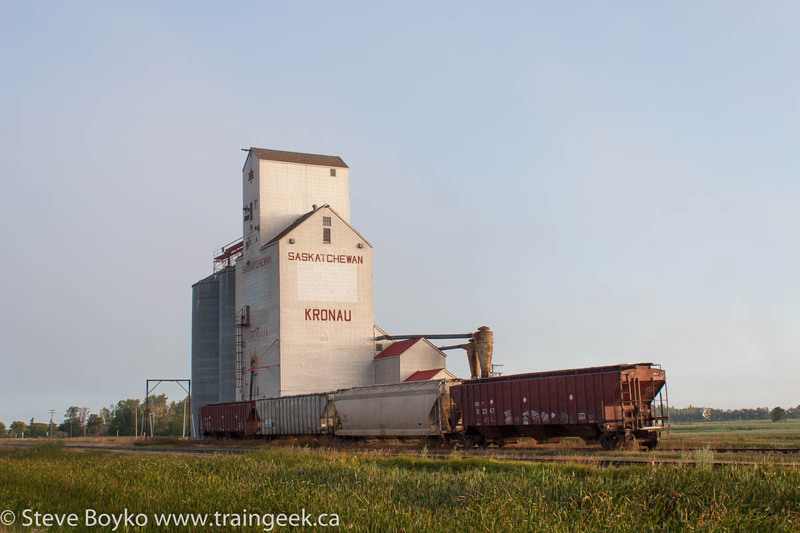 Next up on the line was the grain elevator at Kronau. This is a former Saskatchewan Wheat Pool (SWP) elevator. It has no annex but has a couple of large bins for extra storage. 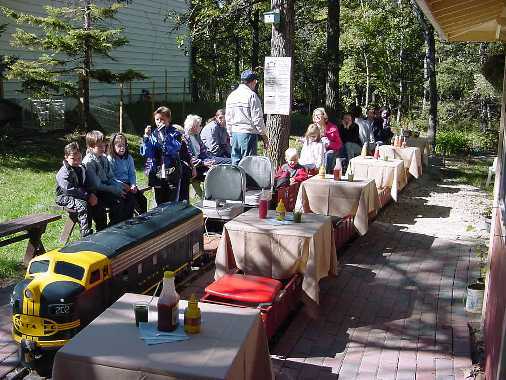 There were a few cars spotted at the siding. Note the 1867-1967 Centennial logo on the elevator. There are only a few remaining with the logo. I saw it on one of the two Sintaluta elevators. Next is a siding and stub track at Lajord. 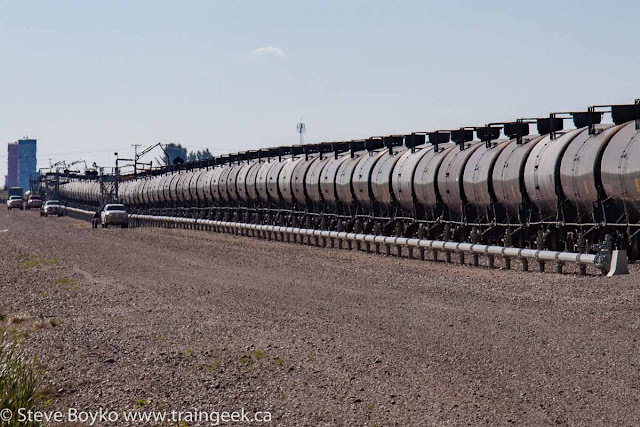 There was a string of oil tankers there, complete with buffer cars on one end. Note there are a couple of tracks there. 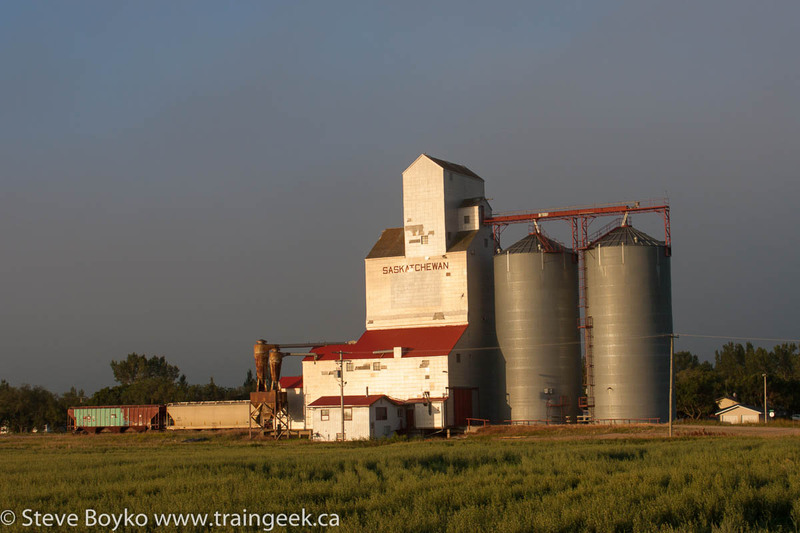 There was a beautiful large Pioneer grain elevator in Lajord. 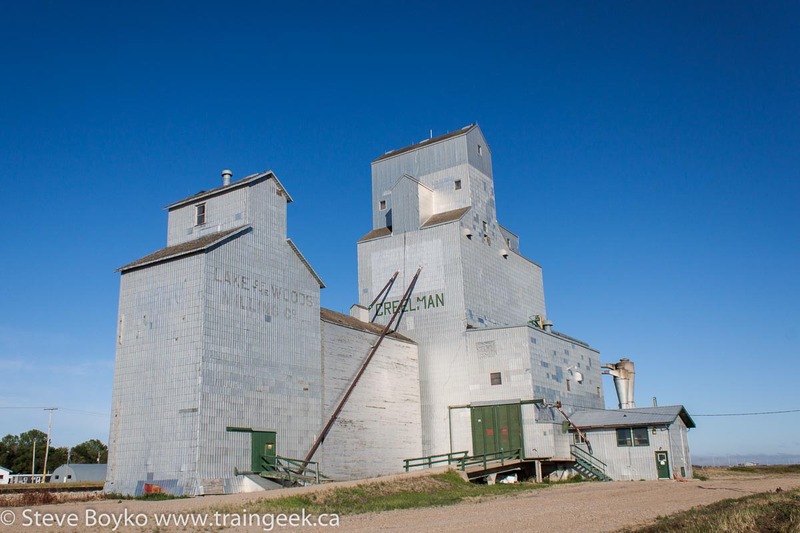 Back in 1964 Lajord had three elevators: the Pioneer, a National Grain Company elevator, and the Saskatchewan Wheat Pool grain elevator. 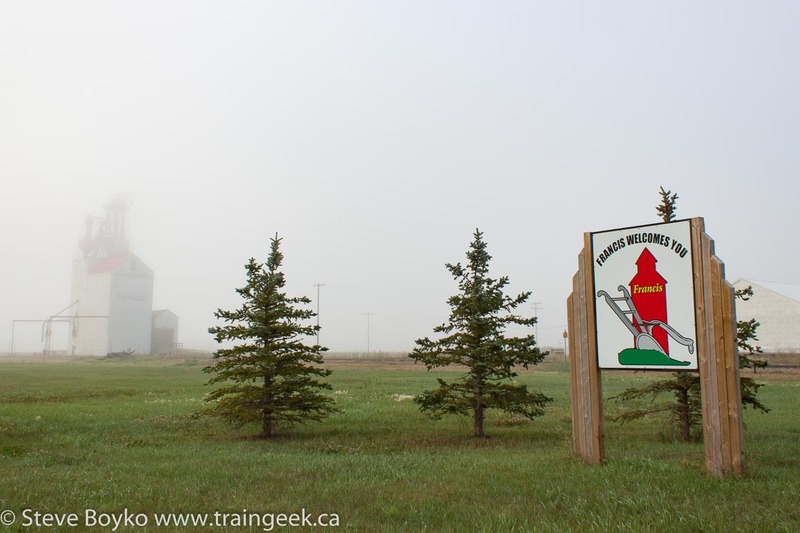 After leaving Lajord, I ran into some serious morning fog. Visibility grew quite short and I had to slow down below highway speed on several occasions as I couldn't see far enough ahead. The grain elevator at Sedley was barely visible in the fog. Disappointing... but not the first disappointment. 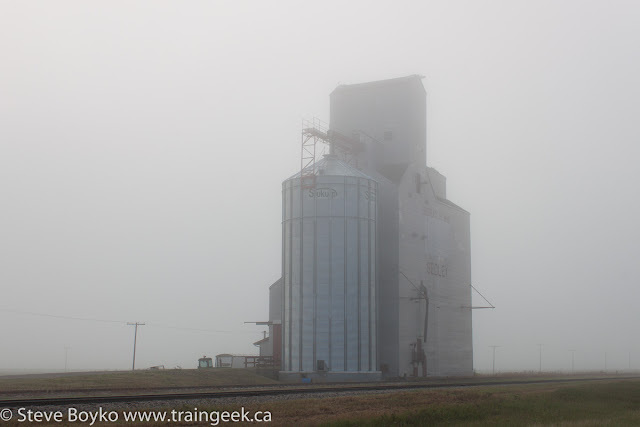 Francis, SK was also socked in. It was clearing a bit at Osage but it still wasn't great. 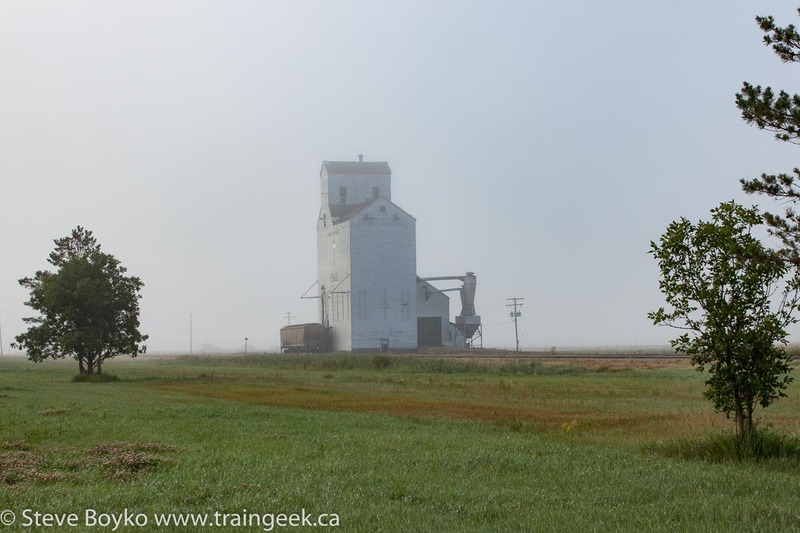 I finally broke out of the fog south of Osage, and by the time I arrived at Fillmore, it was blue skies and sunshine. I wasn't too concerned as I knew I would be heading back on highway 33 and would have another chance at the fogbound grain elevators. There are two grain facilities at Fillmore, an ex Saskatchewan Wheat Pool grain elevator operated by the SooLine Marketing Group, and a more modern facility operated by Fill-More Seeds Inc. "Pride of the Prairies". There was another elevator between these two facilities but apparently it came down. 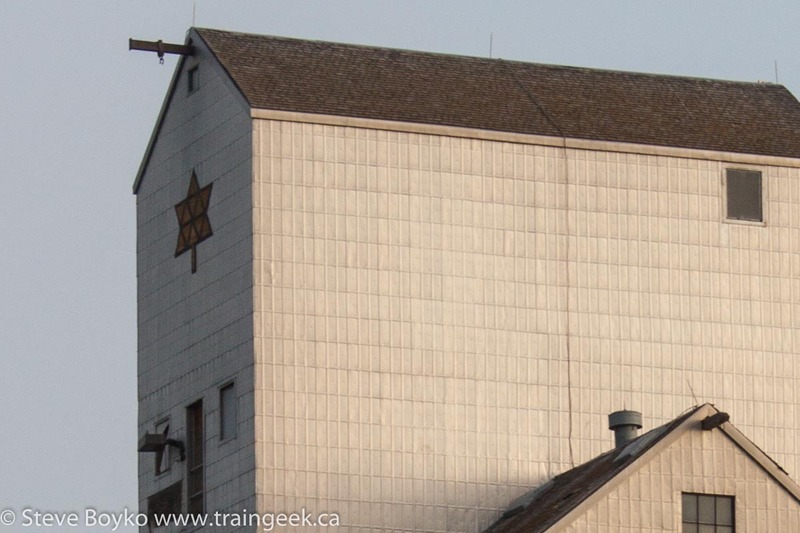 I think it was a United Grain Growers (UGG) elevator. 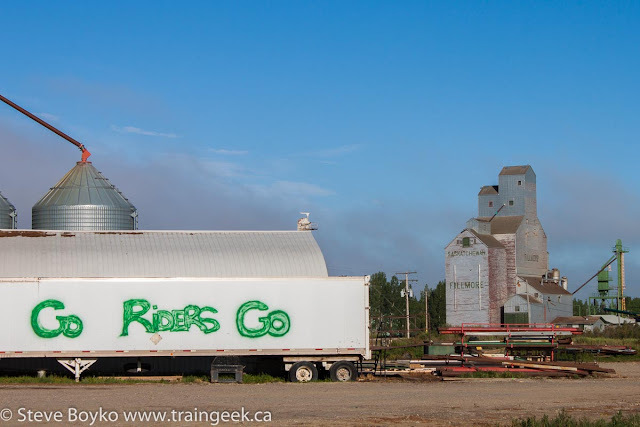 Rider Pride is everywhere in Saskatchewan. The SWP logo is somewhat visible on the non track side of the elevator above the word "FILLMORE". Note the bright yellow fire engine! 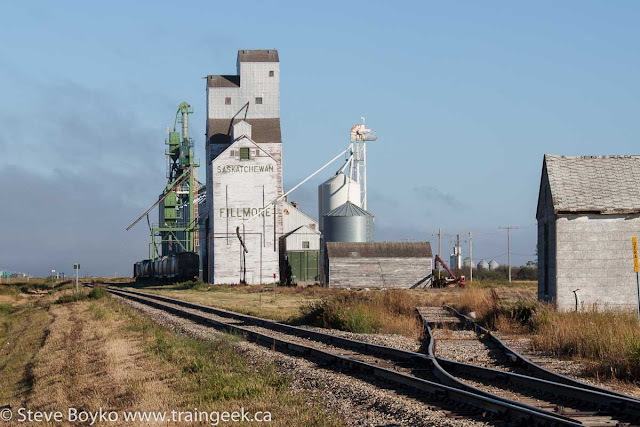 I understand at one point the Stewart Southern parked a few locomotives here but none were in evidence. 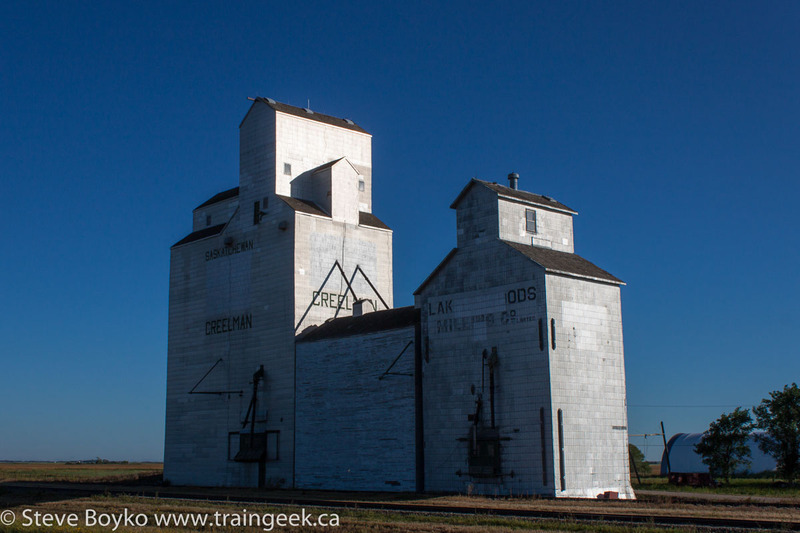 The town of Creelman, SK has two grain elevators joined by a common annex. The larger one appears to be a former SWP elevator but the smaller one is an ex Lake of the Woods Milling Company elevator! They make quite a handsome pair. The city of Saint John, New Brunswick is moving closer to banning train horns at two crossings in the city. Two crossings, at Rothesay Avenue and Thorne Avenue, are busy with trains crossing them multiple times a day traveling to the refinery, the crude oil unloading terminal, the potash terminal, Irving Paper, and other local industries. 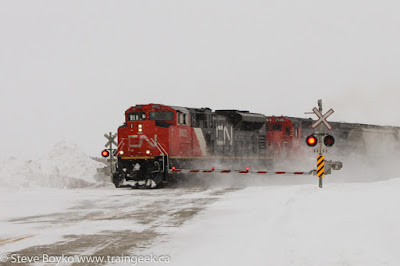 I don't know how many trains a day pass through those two crossings but I would think it is more than a dozen. 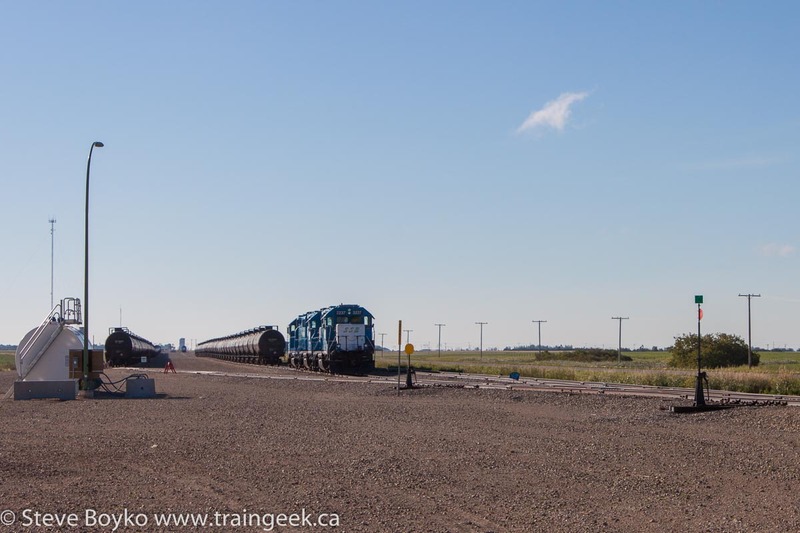 Residents have been complaining about the noise from the train horns, especially at night. The article says the railway, NB Southern, is not in favour of removing this protection but will abide by the province's risk assessment, provided the city assumes liability for any accidents or injury caused by the ban on train horns. 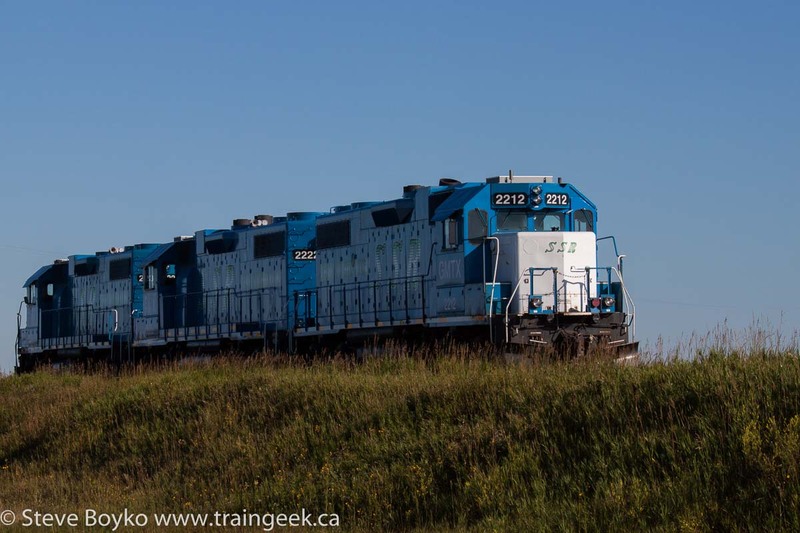 This raises a bigger question - are train horns obsolete? Is there any point to blowing the horn for a crossing any more? "Quiet zones" or "whistle bans" have popped up all over the continent. Here in Winnipeg, most of the city seems to be a quiet zone with horns only being sounded on the periphery of the city or during emergencies. Some people also question the efficacy of train horns with car drivers listening to music or talk radio at high volumes with rolled-up windows. 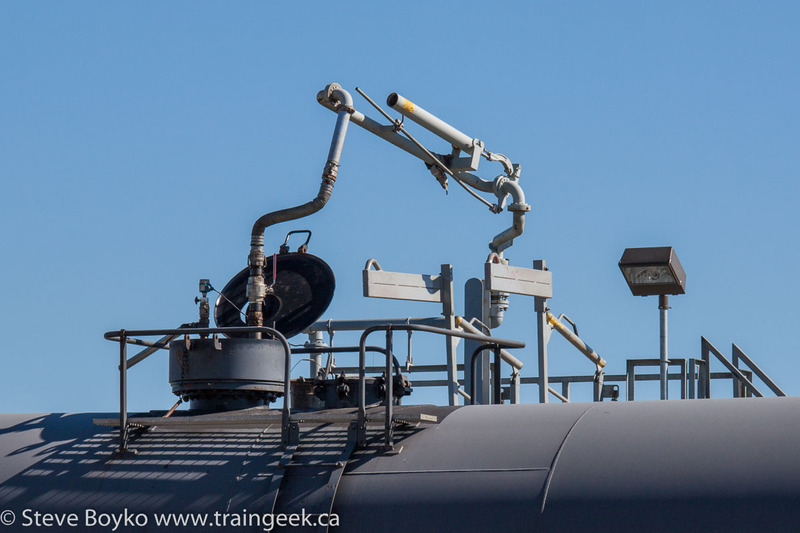 A TSB accident investigation delved into the effectiveness of locomotive horns. Larger vehicles such as trucks or buses make a lot of ambient noise and their drivers have trouble hearing train horns. 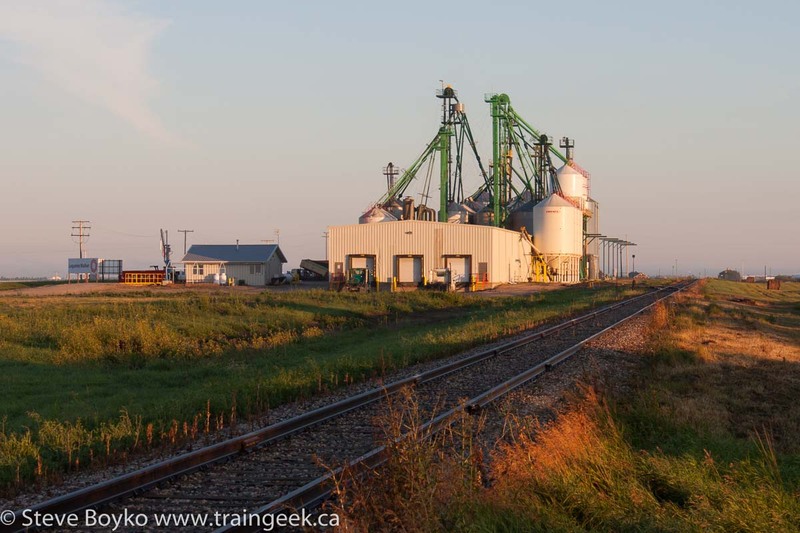 This study indicated that only 14% of vehicle drivers involved in vehicle-train accidents heard the train's horn when the horn was sounded prior to impact. 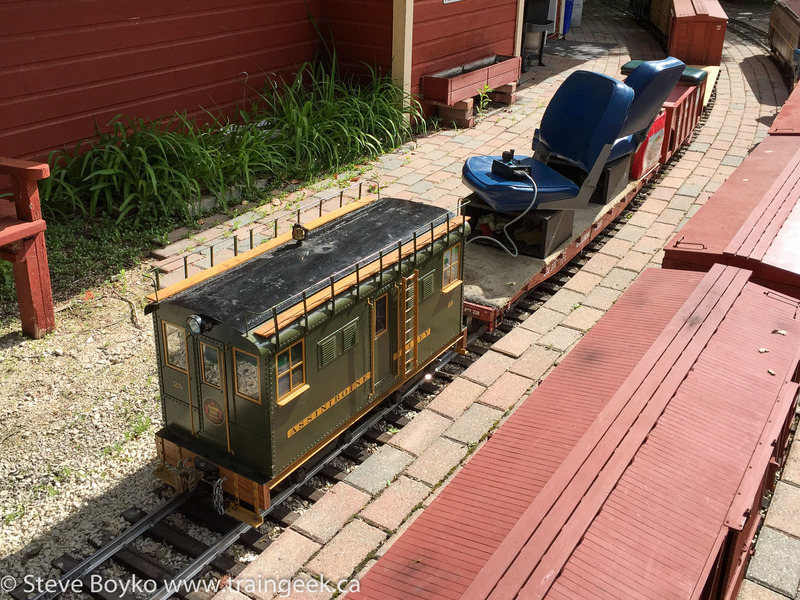 Horn placement on the locomotive has an effect. A study indicated that mid-engine horns are less effective than horns on the nose. However, horns on the nose affect the crew's hearing more, so there is definitely a trade-off. One alternative is a wayside horn, where the horn is physically located at the crossing and automatically sounds as a train approaches. These can be 10-12 dB quieter than locomotive horns (better for nearby residents) and have been shown to be at least as effective as train horns. However, there is an increased cost, of course, as every crossing has to have a system installed. What's your thoughts on the train horn? Is it obsolete? PS if you like train horns, read this article by David Gagnon! 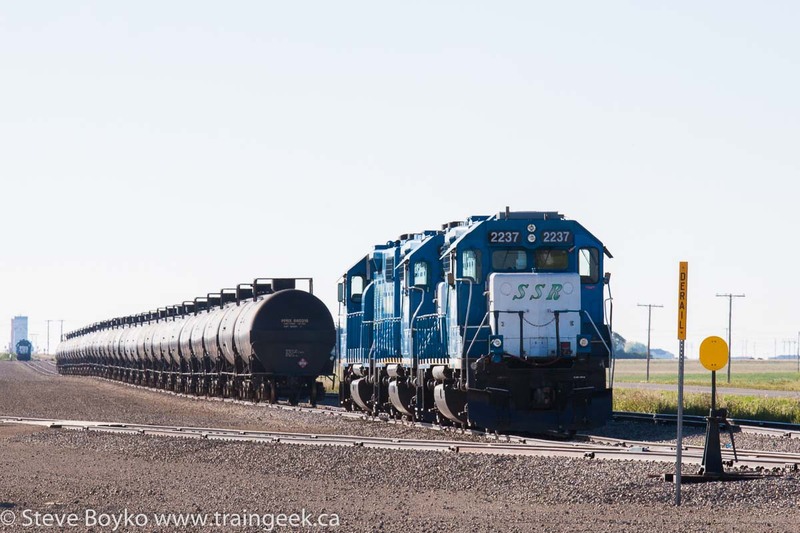 PPS the train horns were banned as of October 24. At the end of my Northwest Manitoba Elevator Trip series, I mentioned I would post photos of some of the churches I encountered along the way. I'm not religious, but I appreciate the architecture and history of churches in Manitoba and elsewhere. 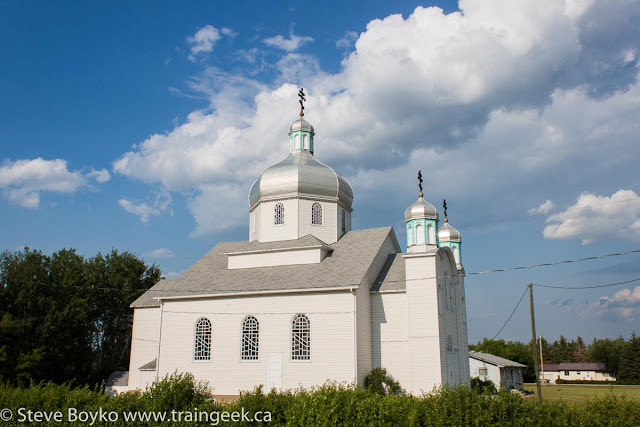 The Prairies are well known for their Ukrainian influence, which is part of my own heritage, and the Ukrainian churches are well represented here. The very first church I photographed was in Glenella. 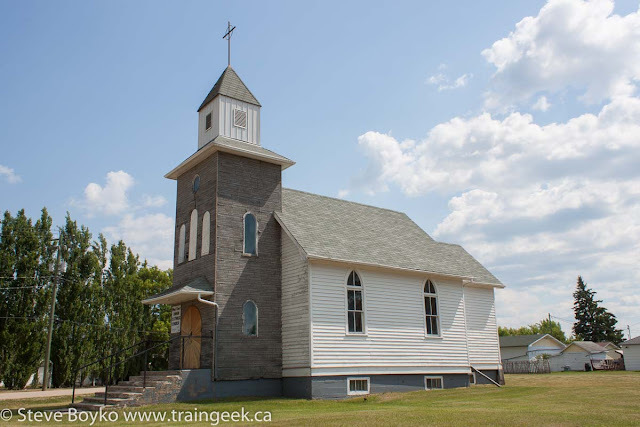 This is the St. Andrews United Church, established in 1906. It's a very simple country church, a good start to this ecumenical tour. The next church I saw was in Makinak. I posted that one already. 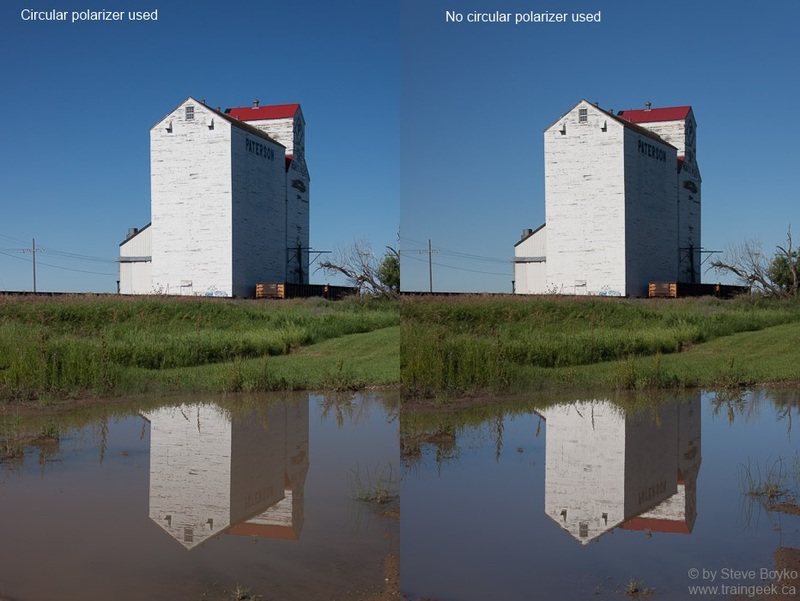 The next two I photographed were in Dauphin. The first was this impressive church, the Ukrainian Catholic Church of the Resurrection. This church was designed by the famed church architect Father Philip Ruh and built in the mid 1930s. I didn't go in it but the link above shows some lovely Ukrainian iconography inside. 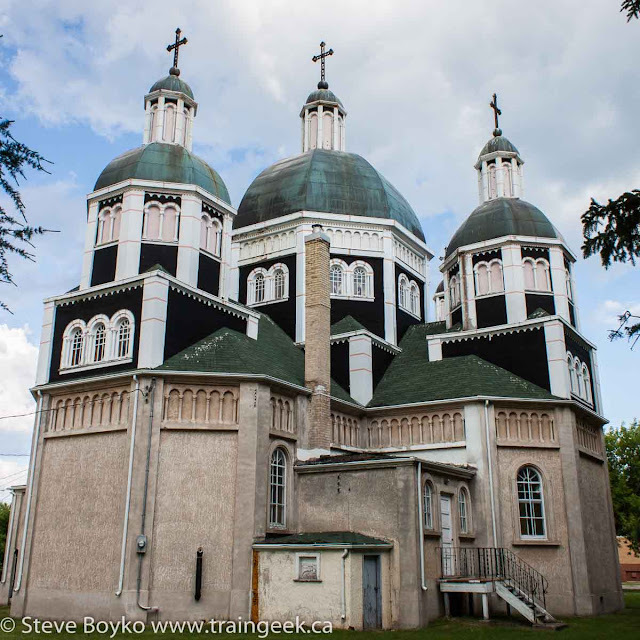 The second Dauphin church I saw was the St. George Orthodox Church, another Ukrainian beauty. 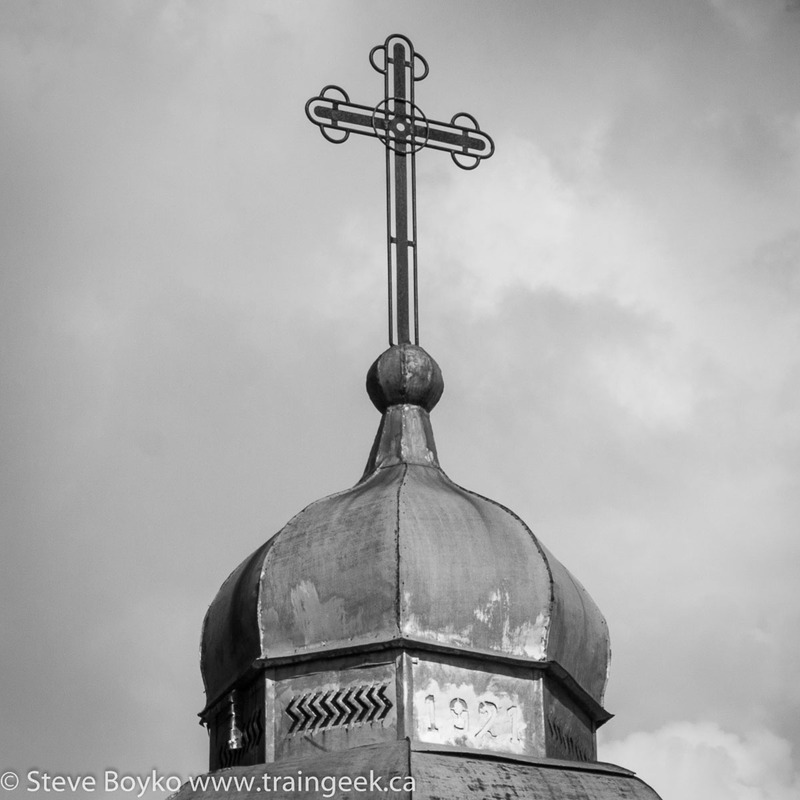 The next one I photographed was the much more modest All Saints Ukrainian Orthodox Church near Dutton, Manitoba. While in Inglis I grabbed a quick photo of one church in the town, the Bethany Lutheran Church. Not all of the area churches are Ukrainian! 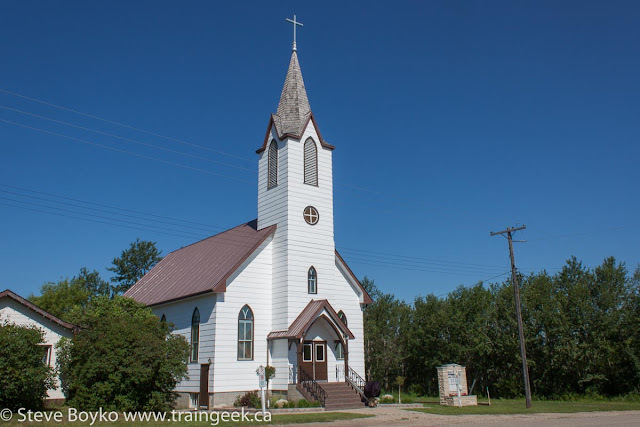 Heading north, the next church I photographed was in Bowsman. 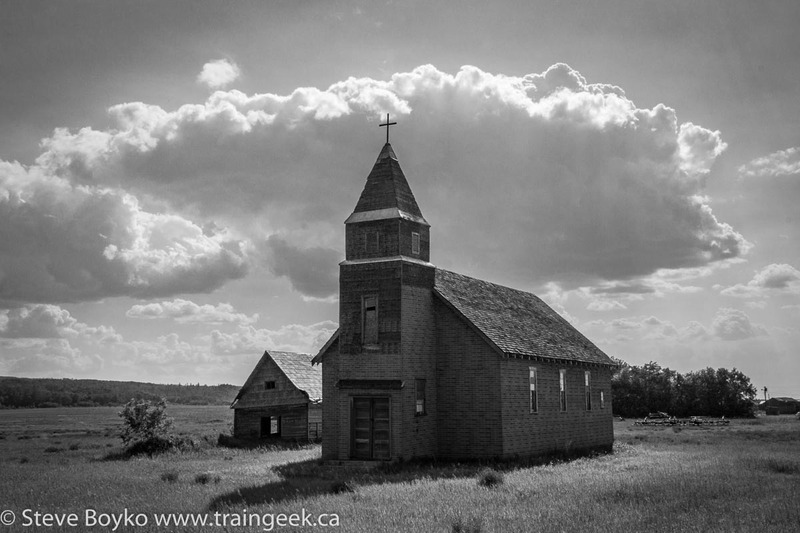 I found was this abandoned Catholic church in the ghost town of Renwer, Manitoba, my second favourite church. I'm not sure what the smaller building on the left is/was, but it appears to be related to the church. The church building seems to be in decent shape but some of the windows are broken. I didn't approach it so I don't know what it is like inside. I did a bit of HDR to shoot the church against the sun. 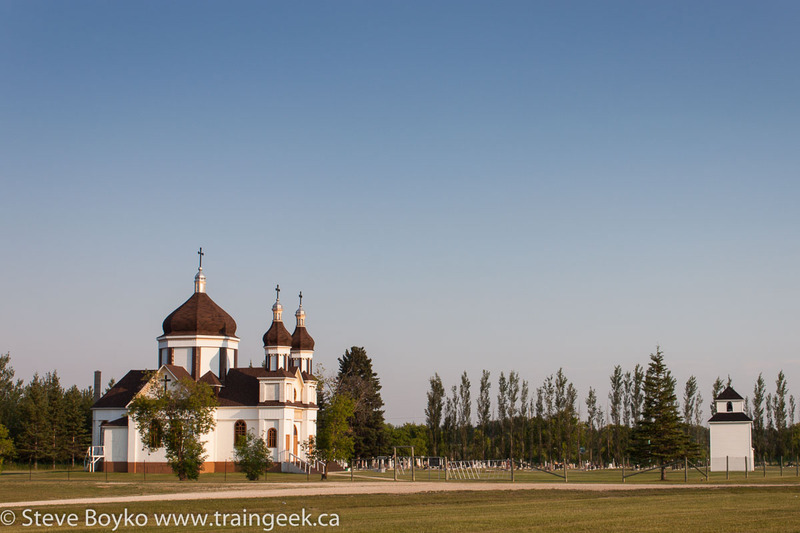 Passing through Cowan, I shot this Ukrainian church quickly, as I was running a bit short of time. 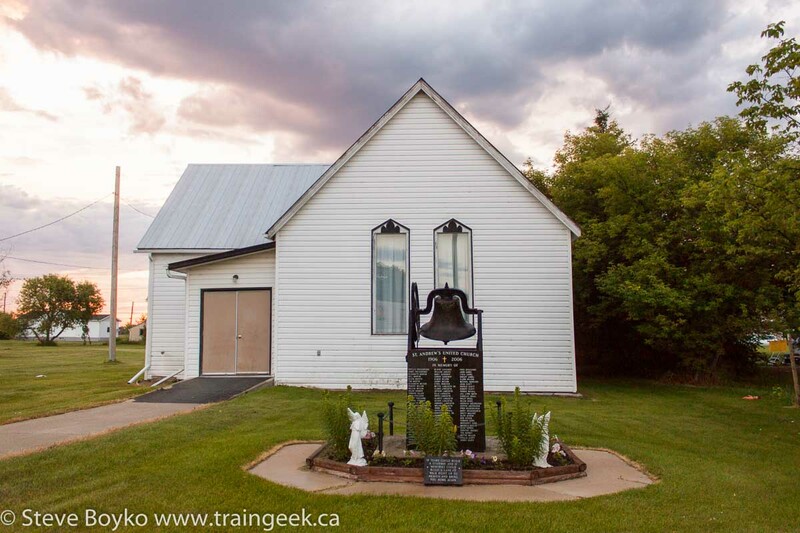 The real gem of the trip was the next church, spotted on highway 10 just outside Cowan, at Sclater. 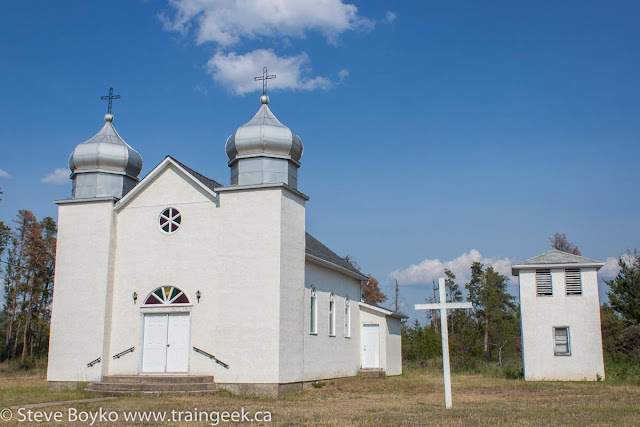 This abandoned Ukrainian "Our Lady" church was built in 1921. Again, I didn't approach it but it definitely has seen better days. 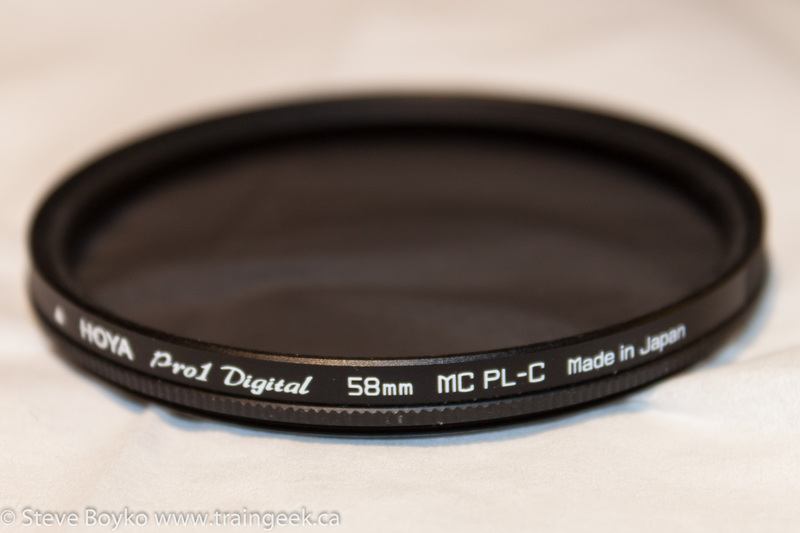 I wish I had more time to look at it. 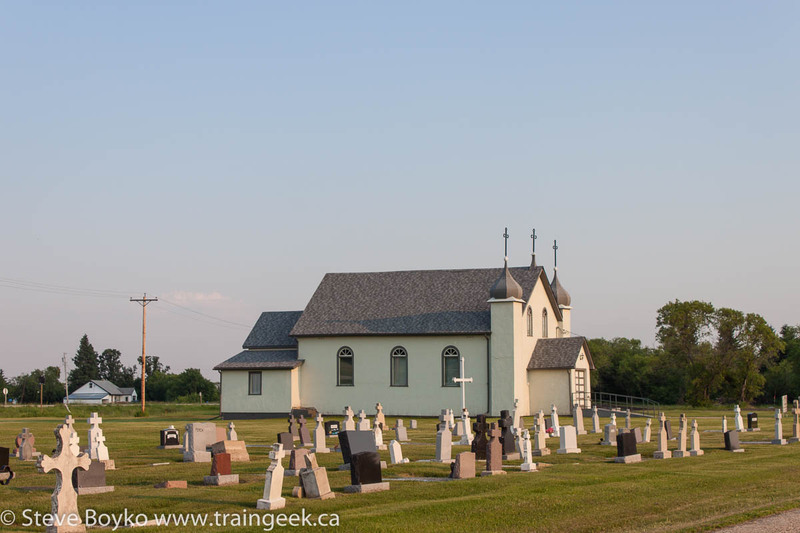 Continuing on, I photographed two churches in Ethelbert. The first was the very well maintained St. Peter and Paul Ukrainian Catholic Church. At the other end of Ethelbert is this Greek Orthodox church. 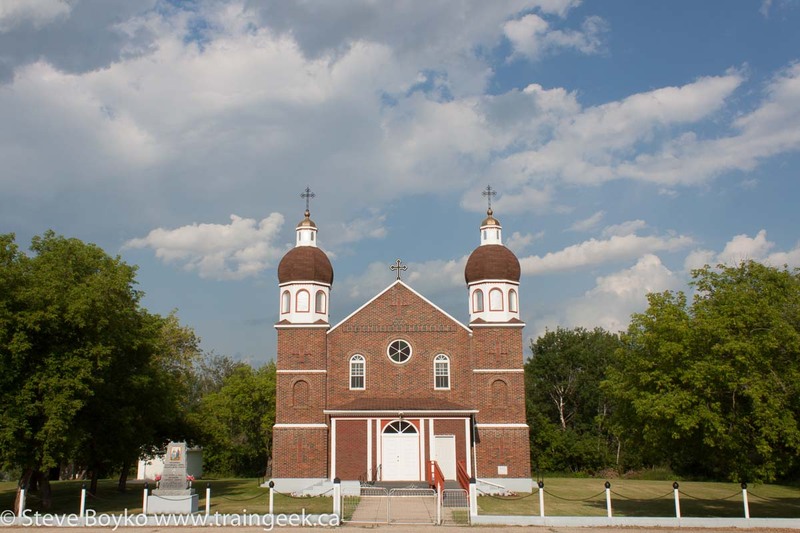 Here is an impressive church in Winnipegosis with an impressive name, the Ukrainian Catholic Church of the Immaculate Conception, built in 1929. This is another Father Philip Ruh design, like the one in Dauphin. Don't confuse this church with another of the same name in Cooks Creek, Manitoba. 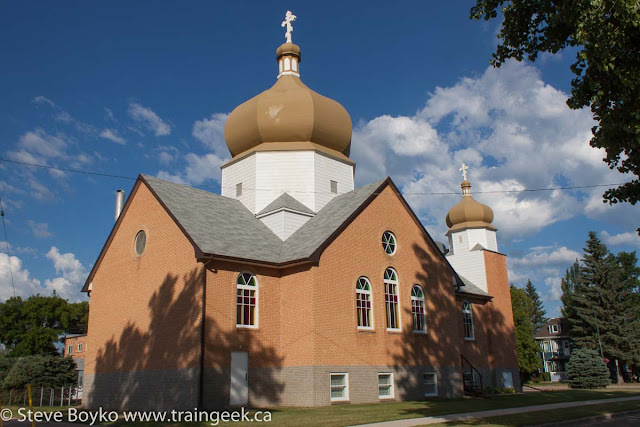 The last church I photographed was a more modest church, the Ukrainian Catholic Church of St. John the Baptist, in Fork River Manitoba. There you have it - 14 churches photographed in a day to go along with the 20 grain elevators I photographed. There were many churches I missed or chose not to photograph. I hope you liked the ones I did photograph.